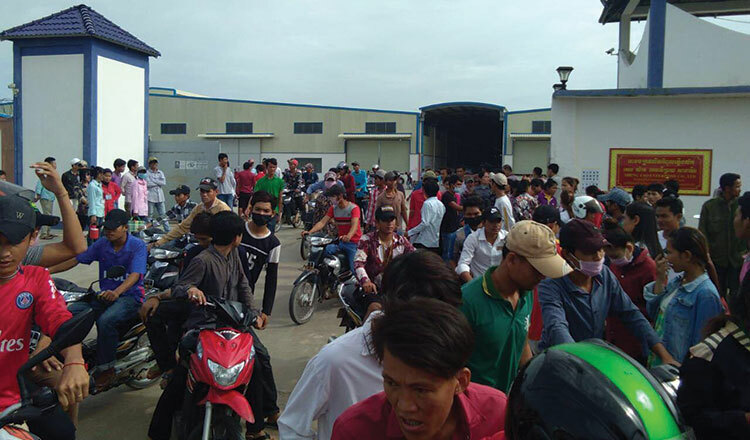 Nearly 1,500 workers at the lamp-producing Sheng Yao factory in Svay Rieng province’s Svay Teab district have gone on strike after claiming their wages were docked after taking three days off to vote in the national election last month. 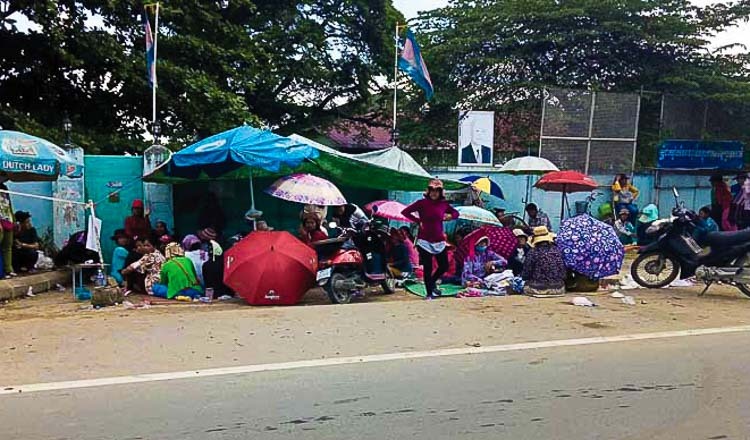 Keo Sophea, a representative of the workers, said that many were surprised to have their wages docked for the days before and after the election because Prime Minister Hun Sen and the Labour Ministry had directed for all workers to be given three paid days off to vote. 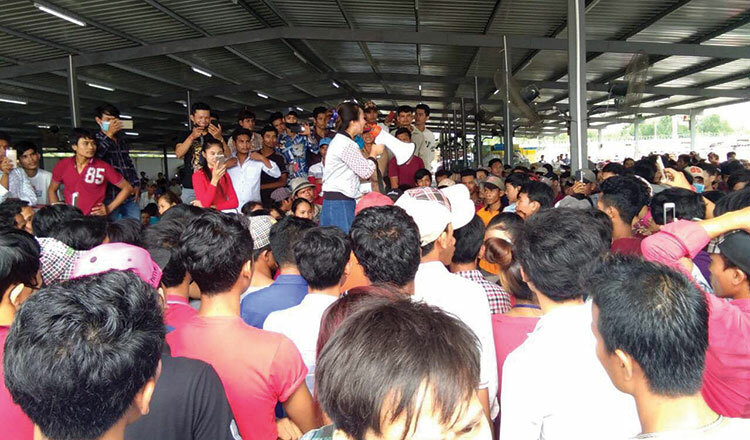 Ms Sophea said the protesting workers are not only demanding their docked wages back, but also improved working conditions, noting that the factory has in the past fired workers without clear reasons and failed to respect pregnant workers’ rights. One of the protesting workers who declined to reveal his name said that the workers went on strike because of the docked wages. According to a petition submitted to factory management, the workers are demanding 13 points, including their pay back. The other points include the right to form a union in the factory and the cessation of pressuring workers to clock overtime. The petition also said the company should have clean restrooms and provide healthcare, allow workers to have annual leave and permit pregnant workers to have health check-ups with pay. 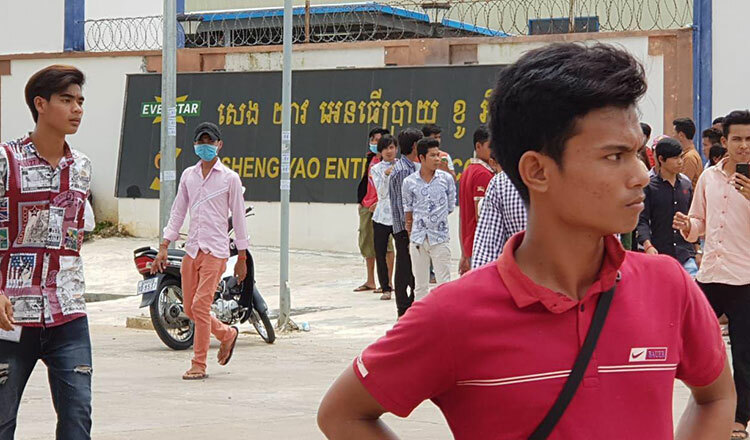 Buth Mara, deputy president of the Cambodian Worker’s Rights Federation, said the workers took three days off as approved by the Labour Ministry. “The Ministry of Labour announced that companies must grant the workers three days off without having their wages docked, but they did not obey,” Mr Mara said. 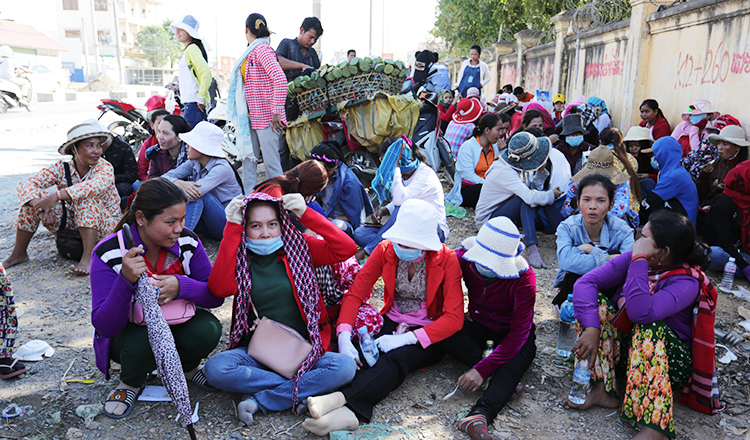 Has Bunthy, director of the Svay Rieng provincial labour department, said the workers have been protesting since Tuesday. Mr Bunthy said that officials, company reps and workers had a meeting yesterday to work out the issue. He said that factory reps reached an agreement to pay the workers’ missing election wages. He added that both sides will meet to iron out the remaining issues today. Factory reps could not be reached for comment yesterday. Recently, the National Trade Union Confederation — which the protesting workers are not a part of — released a statement saying that workers returned to work with no cases of wage cuts from employers or any labour disputes over the election days off. 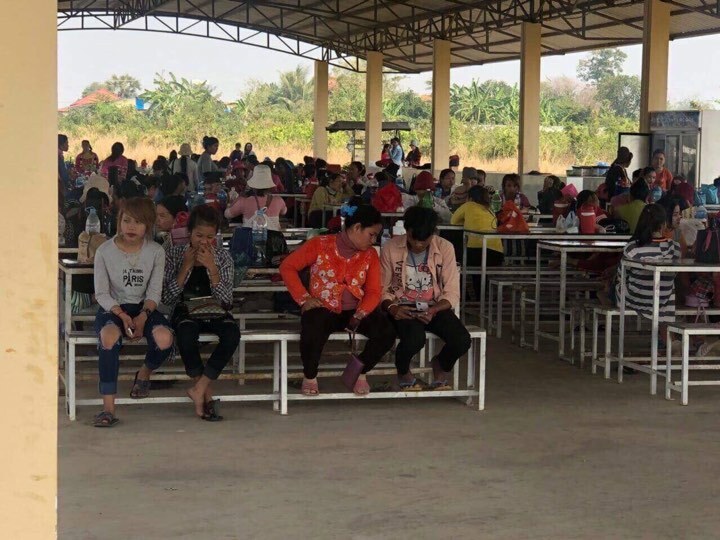 Far Saly, president of NTUC, which represents thousands of garment workers, said about 95 percent of workers were able to cast ballots. 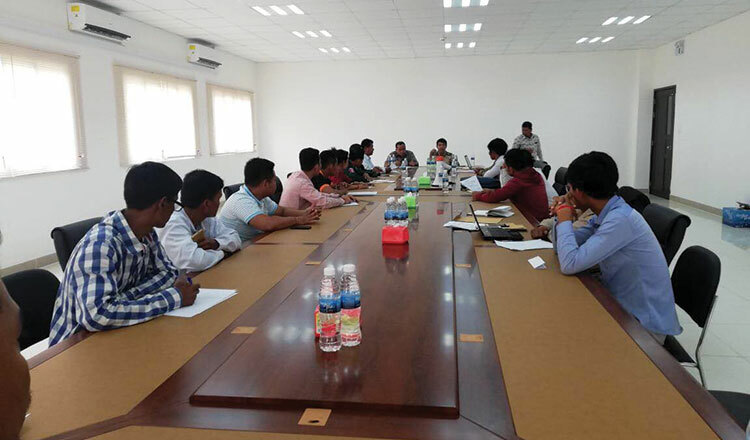 “There are no disputes between workers and employers such as threats, finger-checking or wage cuts by employers after the workers came back to work,” Mr Saly said earlier this week. The Ministry of Labour ordered the three-day paid break to make it easier for workers to travel to their home provinces to vote. 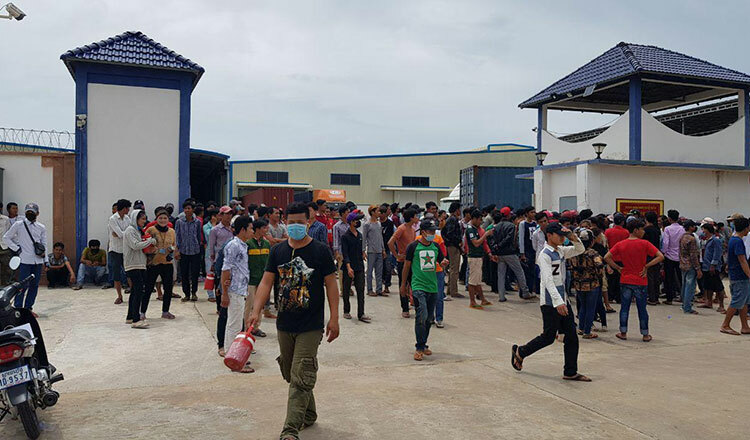 The ministry made the order after a request from the National Election Committee and Mr Hun Sen.
After the election, the ministry said a total of 1,151 garment factories gave workers paid time off to take part in the election.